A person who hacks into a computer network in order to test or evaluate its security, rather than with malicious or criminal intent. So if you want to be an ethical hacker, the truth is there is no easy method to become a skilled hacker. it’s easy to be a script kiddie and load up Armitage or Fast-track and fire every exploit known to man at a target. But what’s the point at firing Linux exploits at a Windows box!. Networking – Cisco courses seem to be really good. At least undertake all the CCNA courses available. Programming – Focus on learning C++, Python/Ruby and PHP. Databases – Play around with MySQL and MSSQL and make your own database to understand how it works. Operating systems – Most flavors of Linux are the similar to one another, Command on at least one. Additionally it is worth understanding the more obscure areas of Windows such as the registry. Undertake FREE ethical hacking courses. These are very good for learning but won’t give you an industry recognised qualification, however they will teach you a lot about different areas of ethical hacking which will help towards recognised qualifications. These course are all paid for, however they are industry recognized and will help you find a job in the IT security sector. Download practice environments to practice and hone newly learned skills. Linux is quite possibly the only open-source project that has managed to change the world at a very large scale. It is on your phones as Android, it is on the millions of servers that run the internet itself and also it is even on your home router. Hence a source used by millions can be attacked by anyone in anyways and take our network. So below is the top 5 of the best Linux firewalls available that can protect your network no matter what comes your way. Most Linux distros comes pre-installed with Iptables, and while it is not the most feature-rich firewall out there but it is a secure one. 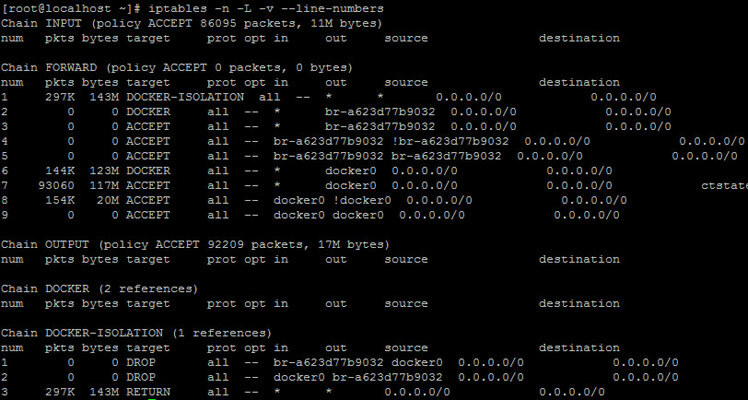 The interface for Iptables is non-existent, as it is a command line utility. It is not the easiest thing to use as you need to learn commands to configure it. However, you can find various GUI solutions that work with iptables to make using it easier which includes Ubuntu’s “Uncomplicated Firewall”. Basically it analyses the packets and checks if they match any rules. If it doesn’t find any, it simply follows the default behavior. However if you want something simple that you can configure and then forget about, Iptables will be the best choice. Monowall is optimized and designed to run on the lowest of computer specifications (all it needs is 16 MB of storage). You have to pay a price for this performance, though it doesn’t come with a lot of features either. Monowall also provides QoS routing by default, which allows you to shape all of the traffic going through it. This allows you to prioritize certain connections over others and not only have a secure firewall, but also a fast one. 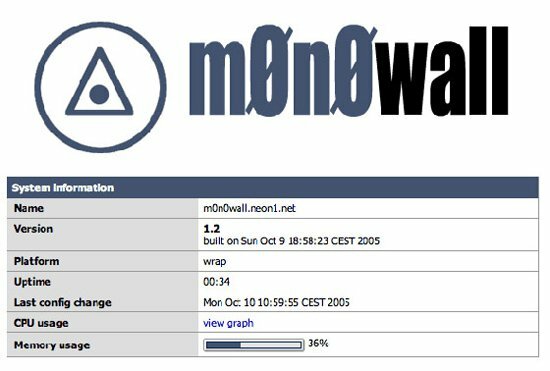 Active development of Monowall has been discontinued as of February 2015, but it is still available for download. pfSense is based on Monowall, basically the developers took the open source Monowall project and built on top of it. Unlike Monowall, pfSense is still in active development as well. pfSense has everything Monowall does, and also some more. 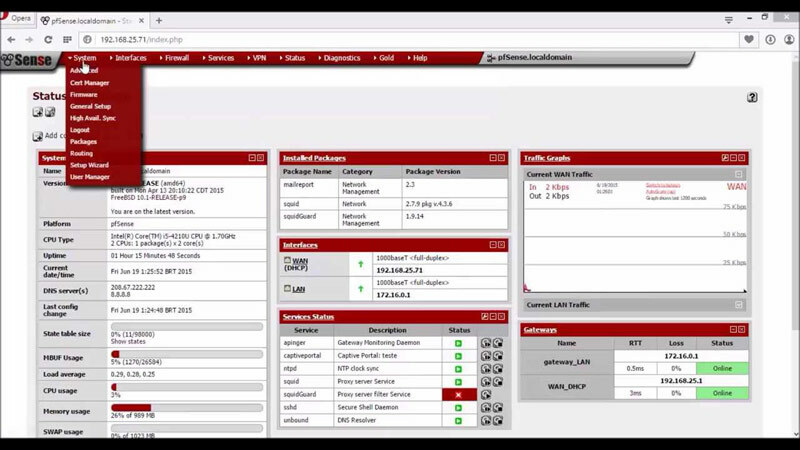 Things like hardware failover, multi-WAN and other advanced features make pfSense extremely useful for network administrators who demand from their firewall. It is quite possibly the most feature-rich firewall out there, but that also makes it complicated to use. While the interface tries its best to make it easier to understand (it does have a learning curve). Zentyal is not a firewall specifically and it it was initially designed as an email server, but ended up doing more than just that. Zentyal can be used as a full-fledged business server, which means it also packs an extremely versatile firewall of its own. Zentyal is based on Ubuntu Server LTS, so you are essentially installing an OS when you install Zentyal. This also means you can practically do everything you could on Ubuntu. 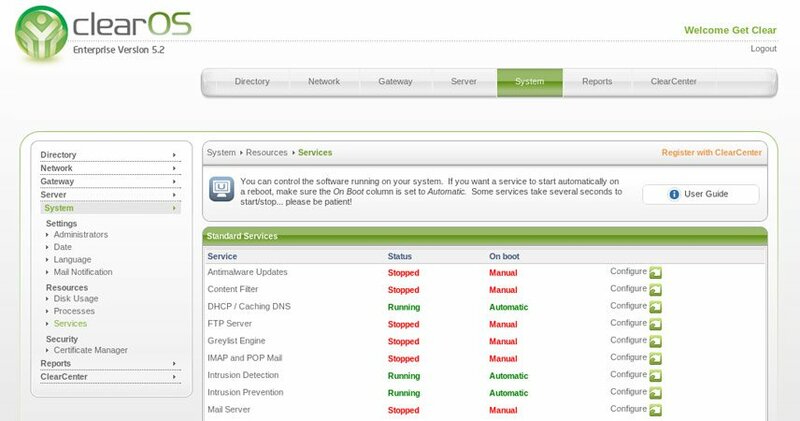 Zentyal can essentially be a full-fledged server with everything you need to run. If you can handle the overwhelming number of options and possibilities Zentyal provides you with, and need something that can do much more than a simple firewall. 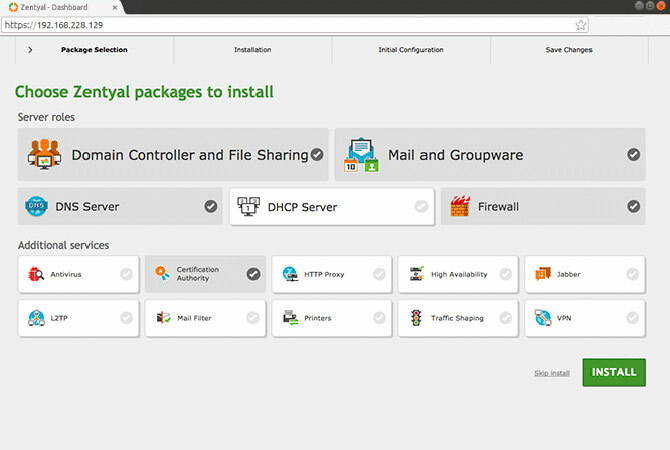 Zentyal also packs a DNS server, a DHCP server, an e-mail server, a domain controller and much more. ClearOS is built on top of CentOS, and much like Zentyal it can also serve as much more than a firewall. What makes ClearOS special is its interface, it is clear a lot of attention has been paid to make it as simple as possible. However its simplicity does not mean it lacks complexity. For novice users ClearOS can be very simple to set up. For advanced users ClearOS can provide any feature they could ask for. Everything is simple with ClearOS even the installation. While not having an Information security certification doesn’t disqualify you from getting a job offer or promotion, but prospective employers looking for industry-leading credentials look at it as one measure of qualifications and commitment to quality. As the market for information security talent heats up and the skills shortage continues, infosec experts who have the right combination of credentials and experience are in remarkably high demand. Certified Ethical Hacker (CEH) is gaining popularity as organizations concentrate on securing their IT infrastructure and networks from internal and external attacks. Some employers aggressively look to hire candidates with CEH validation for hands-on security operations and intelligence activities. CEH is a comprehensive Ethical Hacking and Information Systems Security Auditing program offered by EC-Council, suitable for candidates who want to acquaint themselves with the latest security threats, advanced attack vectors, and practical real time demonstrations of the latest hacking techniques, tools, tricks, methodologies, and security measures. The goal of the CEH is to certify security practitioners in the methodology of ethical hacking. 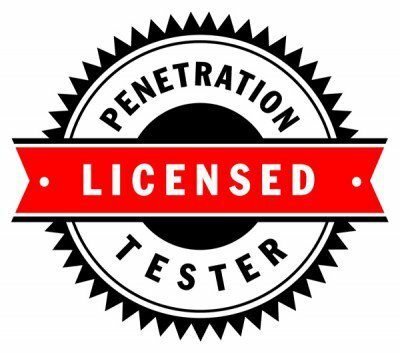 This vendor-neutral certification covers the standards and language involved in exploiting system vulnerabilities, weaknesses and countermeasures. Basically, CEH shows candidates how the attacks are committed. It also makes efforts to define the legal role of ethical hacking in enterprise organizations. Global Information Assurance Certification (GIAC) is the leading provider and developer of Cyber Security Certifications, globally recognized by government, military and industry leaders. As a result, its demand is rising in specific disciplines such as security operations, digital forensics, incident handling, intrusion detection, and application software security. This certification is designed for candidates who want to demonstrate skills in IT systems roles with respect to security tasks. Ideal candidates for this certification possess an understanding of information security beyond simple terminology and concepts. “GIAC’s focus on open source tools and its aggressive in-depth training is very useful,” says Daryl Pfeil, CEO of Digital Forensics Solutions, a computer security and digital forensics firm. She finds GIAC certified candidates highly skilled and talented to handle the dynamic demands of the real-world job environment. Similarly, employers and recruiters are gradually finding the GIAC credential as a requirement for hands-on technical positions. Certified Information Security Manager (CISM) is significantly in demand as the profession concentrates on the business side of security. Offered by Information Systems Audit and Control Association (ISACA), CISM addresses the connection between business needs and IT security by concentrating on security organizational issues and risk management. This certification is for candidates who have an inclination towards organizational security and want to demonstrate the ability to create a relationship between an information security program and broader business goals and objectives. Basically, CISM is perfect for IT security professionals looking to grow and build their career into mid-level and senior management positions. This certification ensures knowledge of information security, as well as development and management of an information security program. Certified Information Systems Security Professional (CISSP) is an independent information security certification governed by the International Information System Security Certification Consortium, also known as (ISC)², the not-for-profit consortium that offers IT security certifications and training. CISSP is viewed as the baseline standard for information security professions in government and industry. Companies have started to require CISSP certification for their technical, mid-management and senior management IT security positions. This certification is designed for candidates who are interested in the field of information security. The ideal candidates are those who are information assurance professionals and know how to define the design, information system architecture, management and control that can guarantee the security of business environments. The CISSP is widely popular within the IT security community, as it provides the basis of security knowledge. “We feel safe hiring candidates carrying this validation,” says Ellis Belvins, division director at Robert Half International, a professional staffing consultancy. The certification validates the security professionals’ high proficiency, principles and methodologies, commitment and deeper understanding of security concepts. The increasing need for hands-on network engineers, along with social computing and web technology, has pushed network security even further. Vendor certifications including Microsoft’s Certified Systems Engineer (MCSE) with focus on security, Cisco’s Certified Network Associate Certification (CCNA), and Check Point’s Certified Security Expert (CCSE) top the list as organizations within government, banking and healthcare that look to fill open positions including system administrators, network and architects.